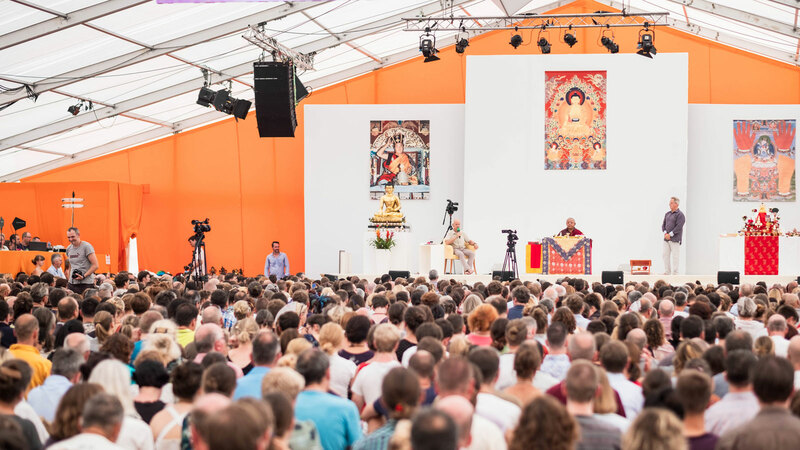 Lama Jigme Rinpoche gave a lecture and a Buddhist empowerment for several thousand Buddhists during our International Summer Course 2018. In his lecture on Saturday evening, Rinpoche shared his personal memories of the 16th Karmapa with us. The following Sunday he gave the 15th Karmapa empowerment. 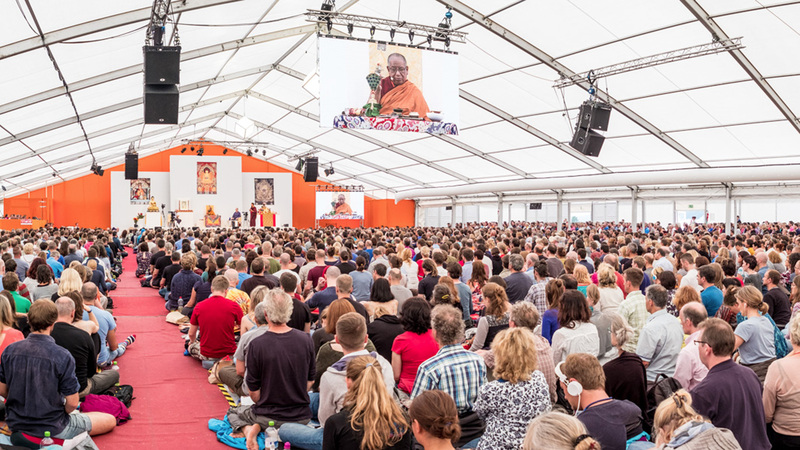 Lama Jigme Rinpoche emphasized to several thousand listeners during his visit that the selection of Buddhist methods of the Karma Kagyu lineage taught by Lama Ole Nydahl is perfectly suitable in his view. 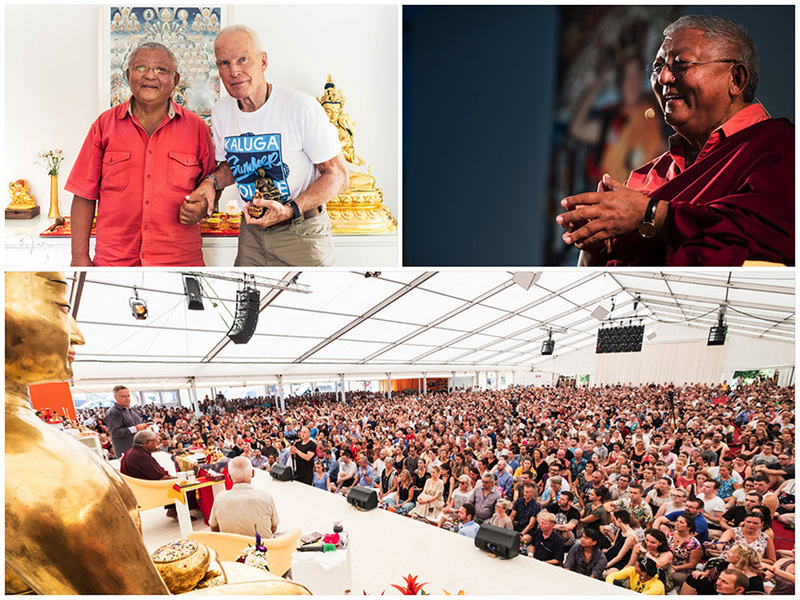 He thanked Lama Ole Nydahl for tirelessly and exactly following the wishes of the 16th Karmapa, and mentioned in particular his selfless activity as a lama in the Karma Kagyu lineage. 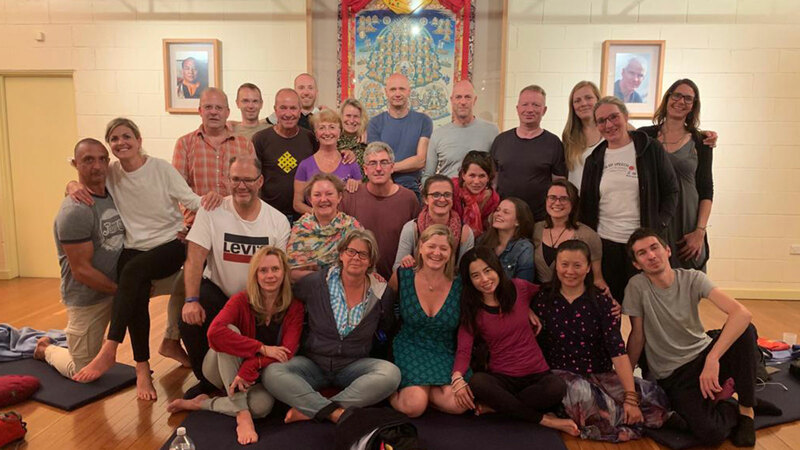 At the end of his three day visit, Rinpoche also thanked all students Diamond Way Buddhism for their personal wishes during his recent health difficulties. He is now fully recovered! Lama Jigme Rinpoche also expressed his gratitude for the exceptional support in establishing the Sharminub Institute in Nepal, a heart project of the 14th Kuenzig Shamar Rinpoche. Lama Jigme Rinpoche was appointed by the 16th Karmapa as his representative in Europe, and is the General Secretary of Thaye Dorje, His Holiness the 17th Gyalwa Karmapa. 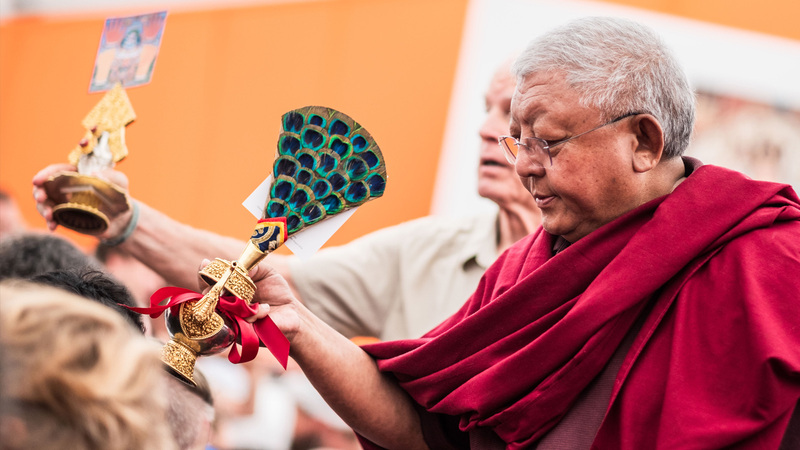 Rinpoche is an experienced Buddhist teacher and administers the Buddhist center “Dhagpo Kagyu Ling” of the Karma Kagyu Lineage in France. He is a member of the spiritual advisory board of the Buddhist Diamond Way Association (BDD e.V.) and regularly gives initiations and teachings in our centers.